May is Bike Month so we are featuring a stationary bike workout from one of our Group Fitness Leads, Kelly. 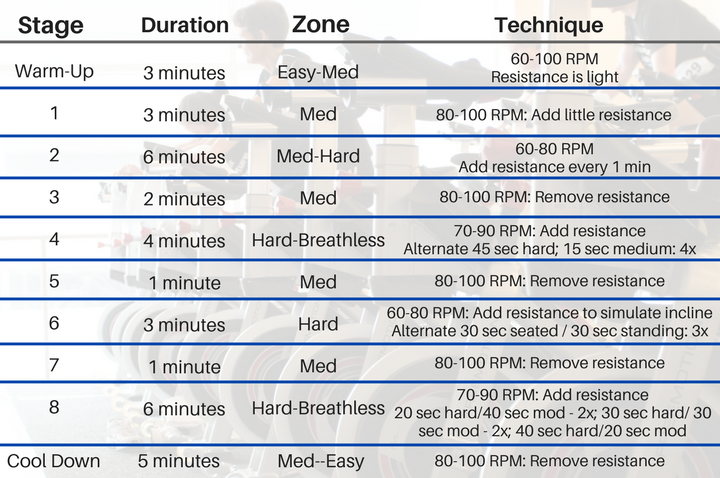 Follow the workout below and if you are new to the bikes, sign up for a free Intro to Cycle class where the instructor will show you how to properly set up your bike. Enjoy the workout!